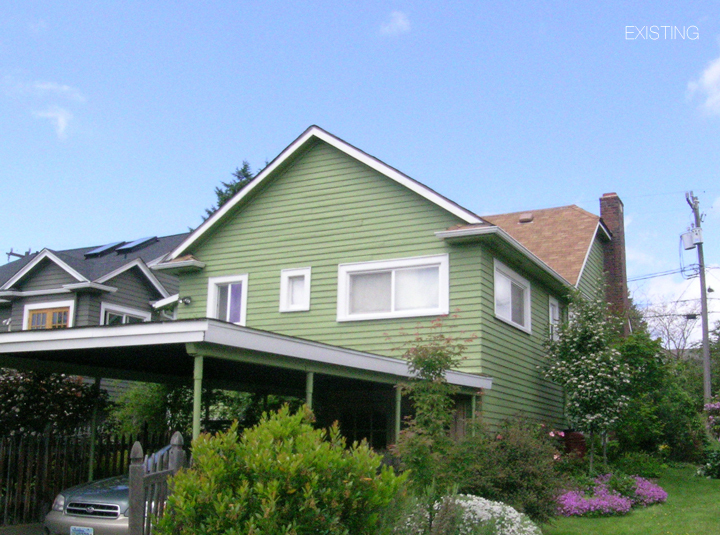 Greenlake Second Story Addition : menu. 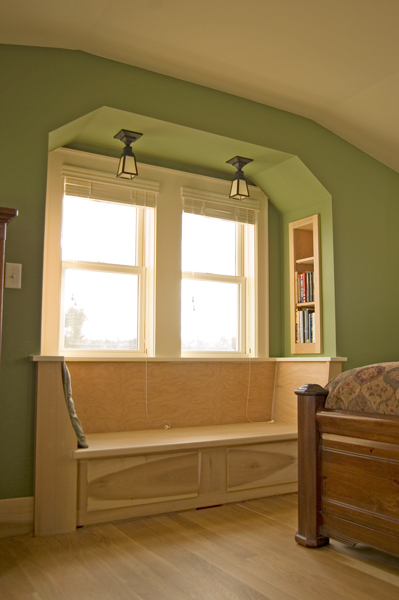 The clients loved their bungalow, but needed more space and wanted to gain at least a partial view of the lake. 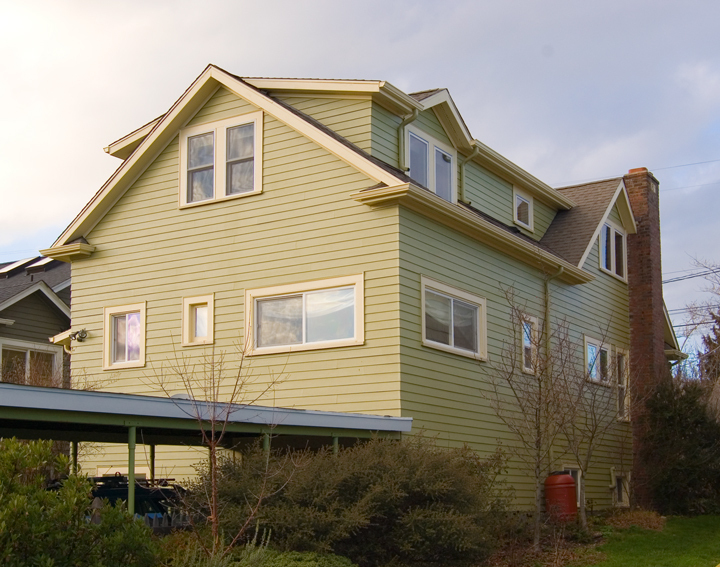 They didn't want to change the look of their house from the front at all, so the entire addition had to fit behind the main ridge line of their existing roof. 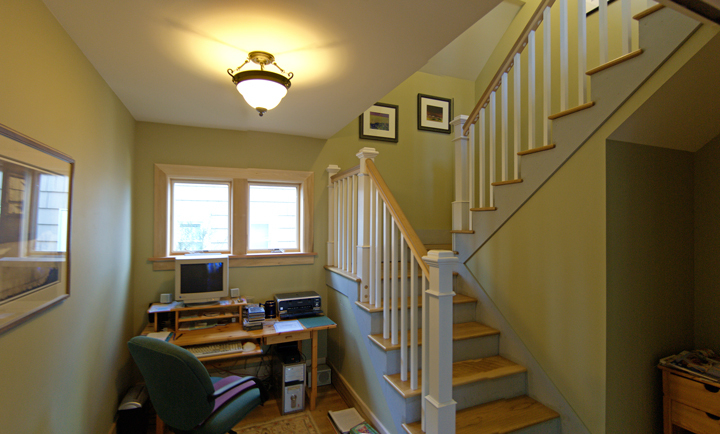 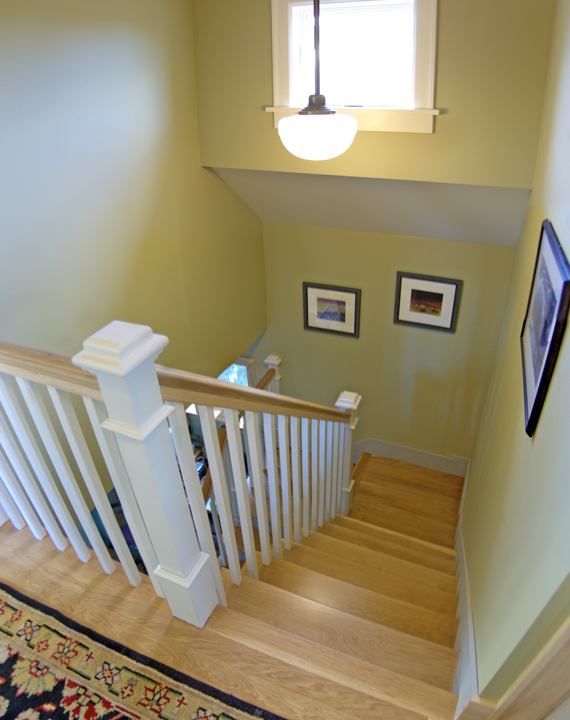 A new staircase was built off the dining room, creating a natural flow from the main floor to the new bedrooms and bath upstairs.